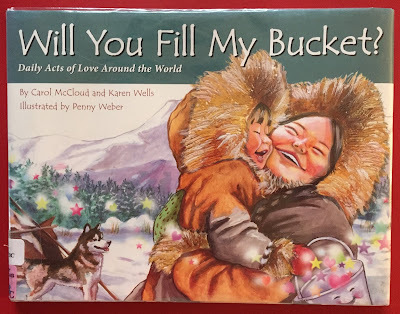 Picture Book Theology: Grab & Go #14 – Have You Filled a Bucket Today? A PBT Grab & Go book requires little planning because its content aligns obviously with theological ideas from The Bible. Bucket Filling is all about love. 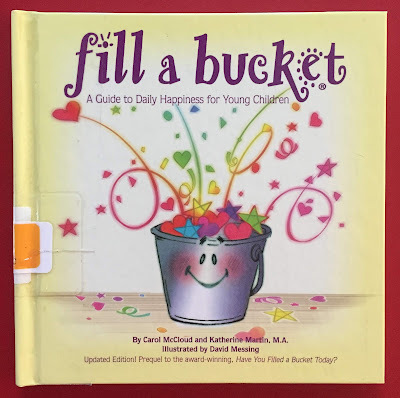 There are numerous resources, including other picture books, about the concept of bucket filling as a metaphor for the importance of loving attention. I've scattered a few covers of some of those resources in this repeated post from 2014. 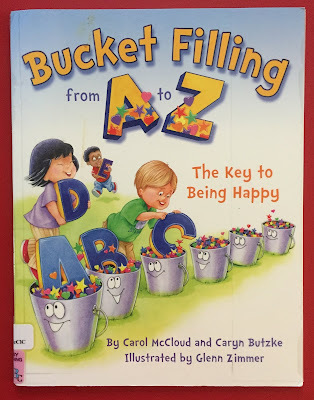 Summary: Based on the adult book How Full is Your Bucket? by Tom Rath and Donald O. Clifton, this picture book puts those authors’ ideas in an inviting format for children. The guiding metaphor here is that each of us has been carrying an invisible bucket since birth. The purpose of the bucket is to hold good thoughts and feelings about yourself. You need others to fill your bucket by being loving to you, and they need you to fill their bucket by being loving to them. What’s wonderful is that the act of filling someone else’s bucket fills your bucket as well. You feel good when you help others feel good. However, you might sometimes be a “bucket dipper.” Bucket dipping occurs when you take away someone’s good feelings by saying or doing mean things to them. 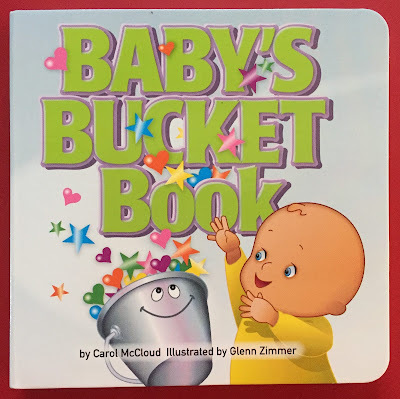 Hanna’s Comments: I chose this "bucket" book because it teaches children how to fill others’ buckets and focuses on how our actions influence others’ well-being. This is an important aspect of any faith community. Another strength of this book is the way in which it teaches empathy, an important skill for personal resilience and functional community. Find an introduction by the author. For more information and resources including free downloads, visit www.bucketfillers101.com. Formats other than Book: Tablet, Amateur videos on Youtube.com where there is also a song about being bucket fillers.